Knit Picks allows knitting lovers to get their hands on the best yarn and knitting tools on the market. Offering a variety of products, from yarns and fibers to knitting kits and books, this store loves all things homemade and will surely get your creative juices flowing. With Big Apple Buddy’s personal shopping service, you can now buy direct from the Knit Picks online store anytime, anywhere. 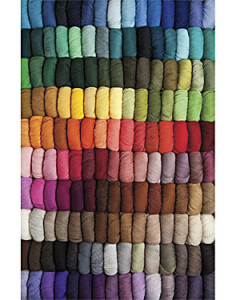 Knitting fanatics will love their 150 Palette Sampler, which is ideal for projects that let you play and experiment with new color combinations. This sampler covers the entire range of the gradated color wheel, in addition to some neutral shades, and with it the possibilities for creation are endless. This kit includes one of each color, for a total of 150 balls of yarn. 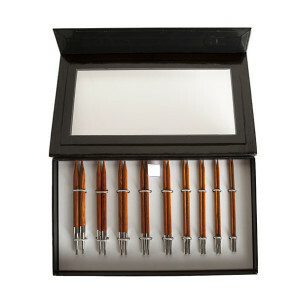 This Interchangeable Rosewood Circular Knitting Needle Set will be the crown jewel of your knitting tool collection. This exclusive set of interchangeable needles are surprisingly lightweight and easy to use, which makes it that much easier to indulge in the desire to knit just one more row again and again. Unfortunately, the USA Knit Picks online store does not currently offer international shipping. However, Big Apple Buddy, your personal shopper, can help you buy products direct from the official USA Knit Picks online store and ship them to your doorstep, no matter where you are in the world. We offer international shipping to over 110 countries including Australia, Austria, Belgium, France, Germany, Hong Kong, Ireland, Israel, Italy, Japan, Kuwait, Malaysia, the Netherlands, New Zealand, Norway, Saudi Arabia, Singapore, Spain, South Africa, Sweden, Switzerland, Taiwan, Thailand, the United Arab Emirates and the United Kingdom. If you would like to buy from the USA Knit Picks online store, simply let us know which items you would like to order (by filling out the form below) and we’ll get back to you with a free international shipping quote within 24 hours!